I don't have any particular brand in mind. But, I would love to have a color laser printer! 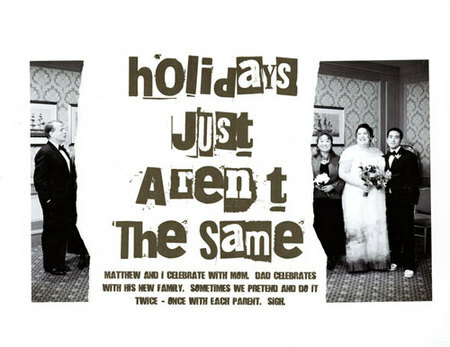 Not only because it's more economical in the long run (especially now that I've gotten into hybrid scrapbooking), but because there are so many crafty things (like image transfers) that require toner based prints. I did a quick google search so that I could get you a price and I found that the HP Color Laser Jet 2600n was rated the best of the budget laser printers at a cost of only $399. 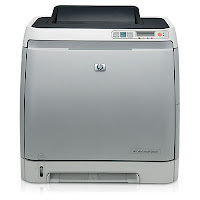 Other laser printers go for $600-$1600. I am still kicking myself for not buying this when I saw it. I thought, "I don't need this. Walk away. Walk away." And, I did! Amazing willpower, but several months later, I'm still longing for it! If you see one, spend the $29.99 and have yourself some fun! 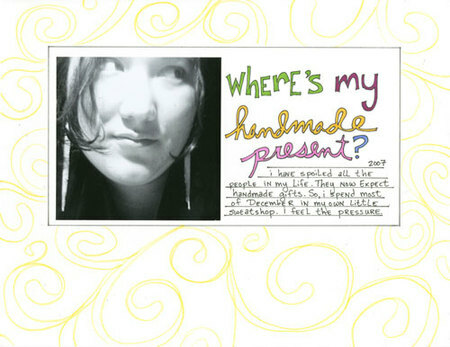 When I find one, I'm going to buy it and make a card every week for a year! At the end of the year, I'll have a fabulous collection of art! 3. 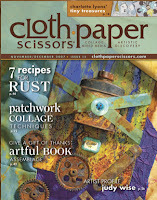 Subscription to Cloth Paper Scissors! I keep buying it at the bookstore. I can't stay away. 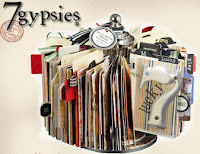 This magazine blends sewing and quilting and scrapbooking and altered arts! It's the coolest magazine ever! For $32.95 you get a one-year subscription (6 issues) delivered to your door! I want a zoom lens so that I can take great photos from far away! I've poked around on the internet and I think that the one I want is the EF70-200mm f/4L IS USM Telephoto Zoom Lens. The European Imaging and Sound Association (EISA) named the EF70-200mm f/4L IS USM the "Best European Professional Lens of the Year 2007-2008." I can't find MSRP for it as it's not currently sold through the Canon website, but it seems to be selling for between $1000-$1200. (It is a wish list, right?) This lens has image stabilization, which is an amazing idea! You can take great action shots without a tripod! I have been intrigued with the Clip it Up! since it came out. It just seems like the most genius system! Everything is out where you can see it and easy to grab! The thing that keeps me from buying is the size. I just don't know where I'd put it in my tiny room. 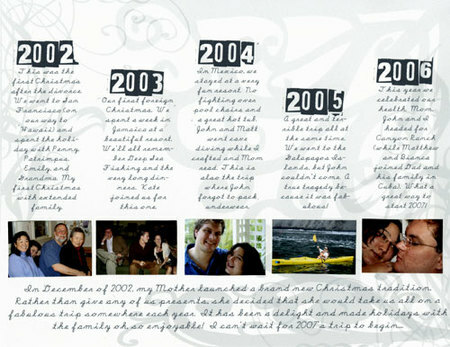 But, people who have it, love it and say that it has revolutionized (pun intended) their scrapbooking! The top tier retails for $35. The base is $60. I'm obsessed! It is too cool to be able to draw anything you want on the computer! And the control for photo editing is so much better than a mouse! (Or the scrolly pad that I have on this laptop!) 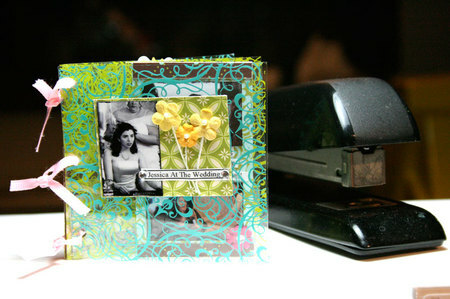 It has changed my mind about digital and hybrid scrapbooking. 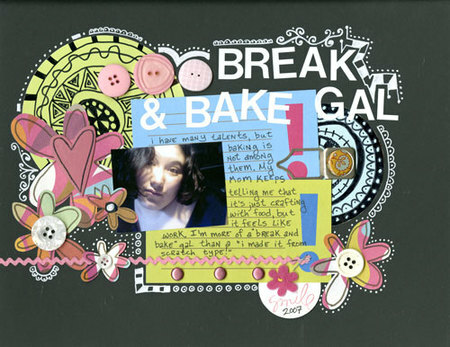 With a Wacom tablet you can make scrapbook pages full of handwriting and doodling and homemade goodness! Buy one for $329! 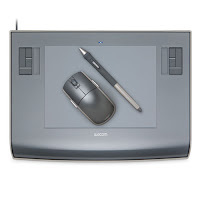 Wacom has also come out with a slightly lower-tech tablet called, Bamboo, which you can get for the amazing price of $79! 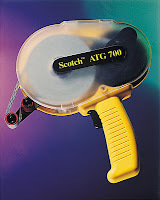 This is the best circle cutter I have every used! And I love that you can get a true 12x12 circle (by using the outside of the template). It's easy to use and the blade stays sharp forever. 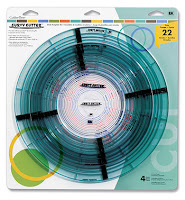 You can buy the circle templates for $17.99 and the cutting tool for $14.99. It has to be used with a glass mat, which you can either buy or do what I do: use the glass from a picture frame! This is a relatively new product by Textiva. Their website doesn't have almost anything on it, but you can buy a sampler pack (like the one shown) for about $7 at other sites. It is really, really cool stuff! First of all, it bonds to itself. 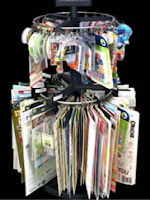 So can create pockets - place anything: glitter, confetti, photos, etc. between two sheets and iron. Also, it will mold to the shape of whatever it is on when ironed -- so if you put a rubber stamp under it -- the impression will stay! Way cool! Definitely the most magical $7 you'll ever spend! This is an amazing scanner! Totally overpriced at $2500, but it scans my 12x12 lumpy, bumpy layouts in one swoop and the color is spot on! I love it! It has saved me so many times! It also scans negatives and all sorts of other stuff! The quality is excellent for scanning film photos too! I absolutely refused to consider this HUGE adhesive gun for the longest time. But, now that I have one, I can safely say that I'm never going back. It's super economical and the adhesive sticks like nothing I've every experienced before. I highly recommend it! Be warned: one type of the tape is acid-free and the other is not. Be sure to buy the acid free kind! It's listed as $49.95, but I found it here for $36.62. Off topic, There's a nice little RAK going on at this blog. Leave a comment on her blog to win! 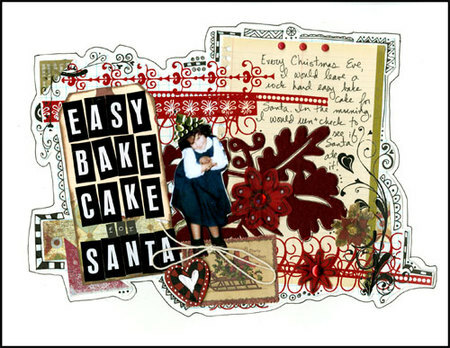 And, a discount code for Just Let Me Scrapbook: Sensational 30% Off Sale! Stock up for after Christmas! Use the code CMAS30 for a 30% discount through Monday, Dec. 24! Be sure to tell them Julie sent you!